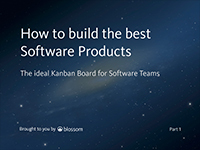 We’ve put a series of Agile Kanban best practice guides together so you can get the most out of Blossom. 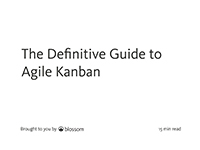 This material supports you to adapt & implement Agile Kanban to your software development process and to improve your existing process. A guide to apply modern Agile in your organization to effectively build first class software products. Workflow overview at a glance with these 5 simple key steps. Agile Kanban workflow best practices for software teams from backlog handling, defining work, visualizing work to bug handling. 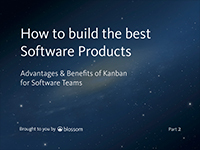 Learn the advantages & benefits of Agile for software teams. Learn how each role plays in the Agile workflow to build first class software products.